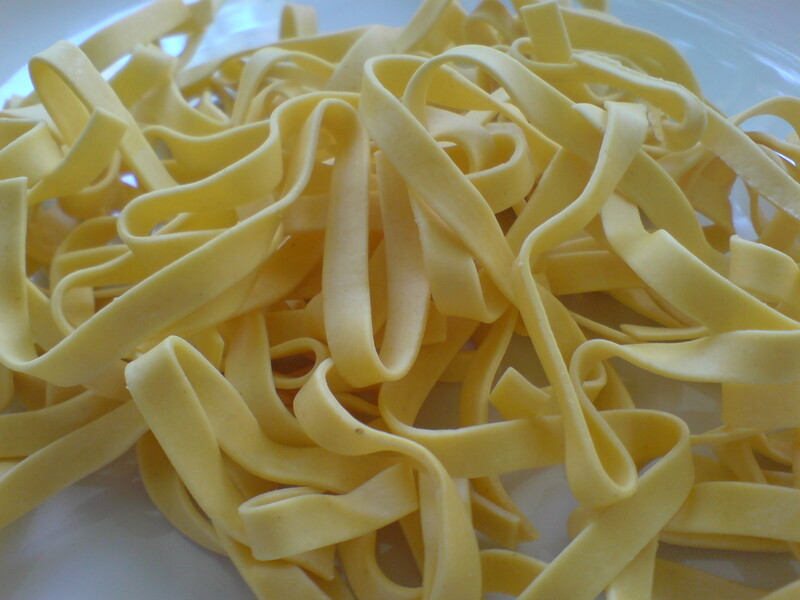 Tagliatelle (from the Italian tagliare, meaning “to cut”) is the classic pasta of the Emilia-Romagna region of Italy. Individually, they are long, flat ribbons, similar in shape to fettuccine, but typically about 0.65cm to 1cm (0.25 to 0.375 inches) wide. They can be served with a variety of sauces, though the classic is a meat sauce or Bolognese sauce. The noodles are heavy because all’uovo, better pasta all’uovo not!